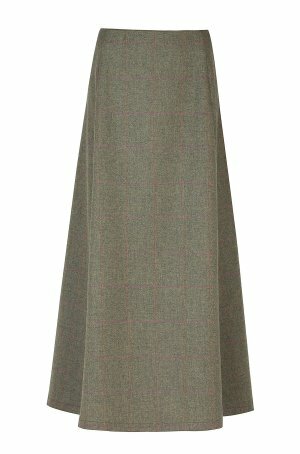 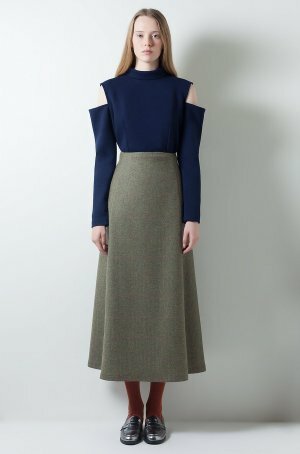 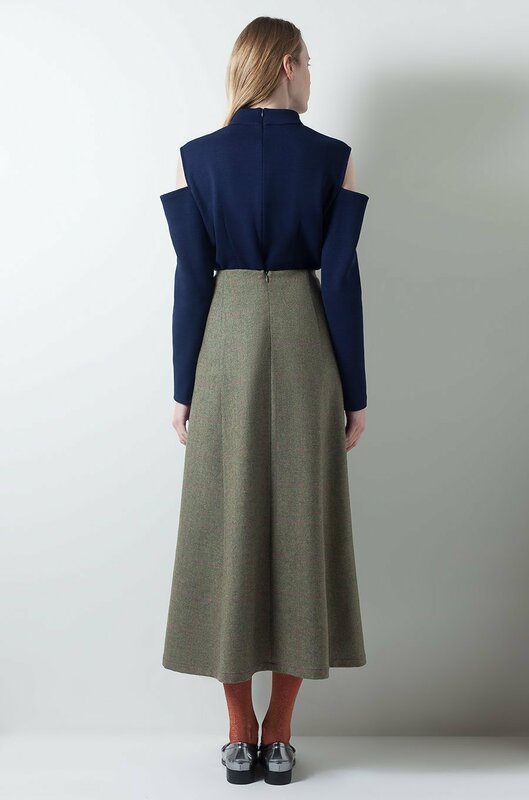 This FLARED MIDI SKIRT is cut from wool and cashmere in olive green hues. It has flared hem and sits high on the waist. Style it with our OFF THE SHOULDER BLOUSE and pumps.